Combed Wheat Reed is a form of straw, which rather than being ‘threshed’ to remove the grain, is combed. This process keeps the stem of the straw stiffer and produces a crisp finish to the eye. 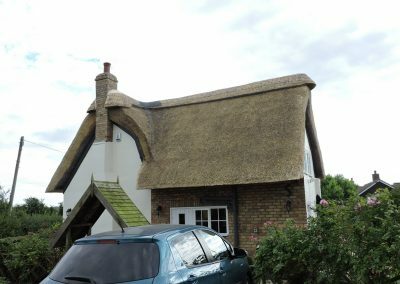 This material has a life span of 25-40 years, with a new ridge being required every 10-15 years. 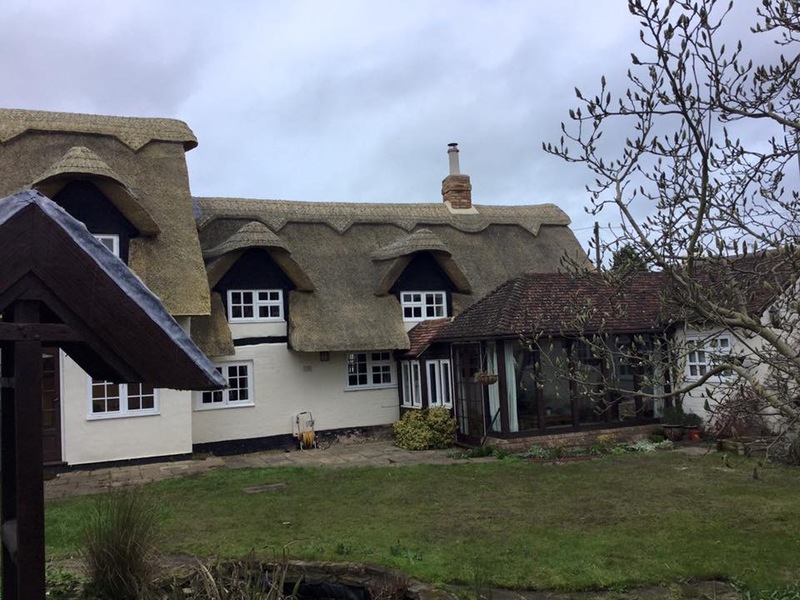 With the wire netting removed, for the most part at least one layer of thatch is removed, to form a solid base coat, to which the new thatch is then fixed. This base coat tends to be between 4-12” thick, depending on the roof and is why you sometimes see thatch which multiple layers. 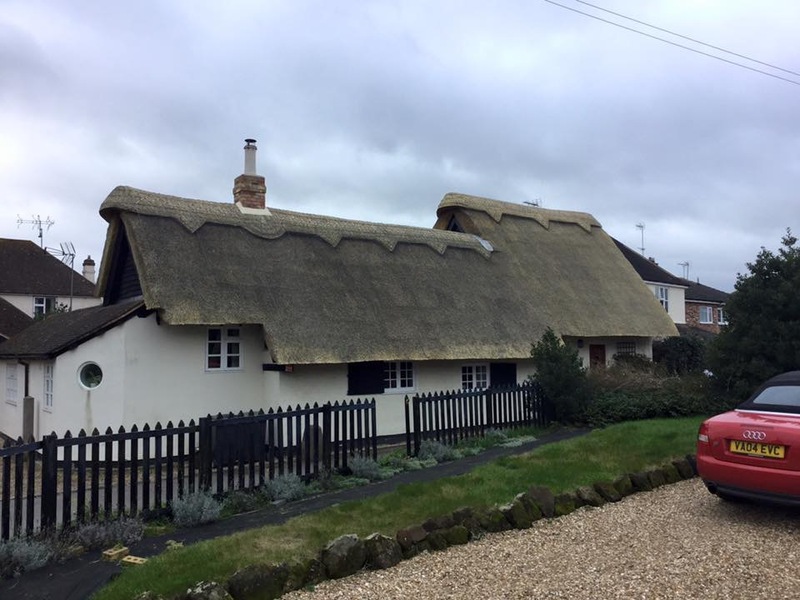 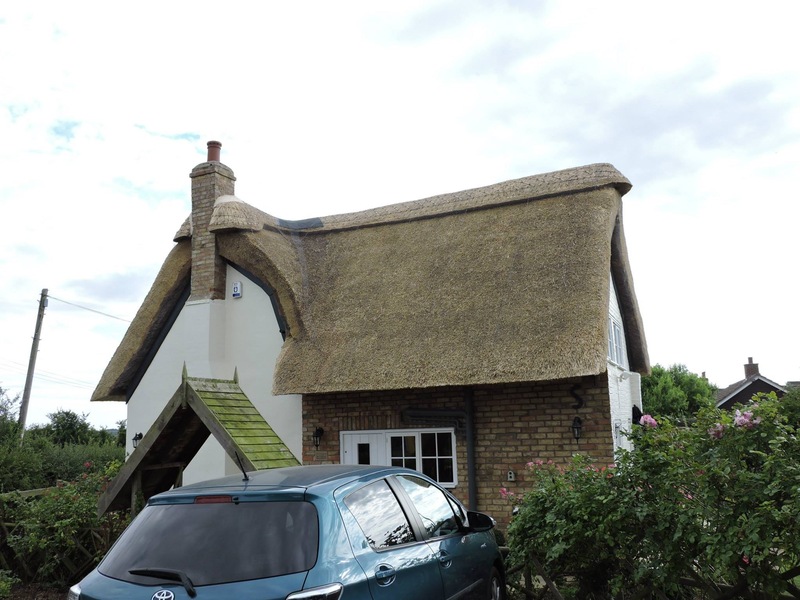 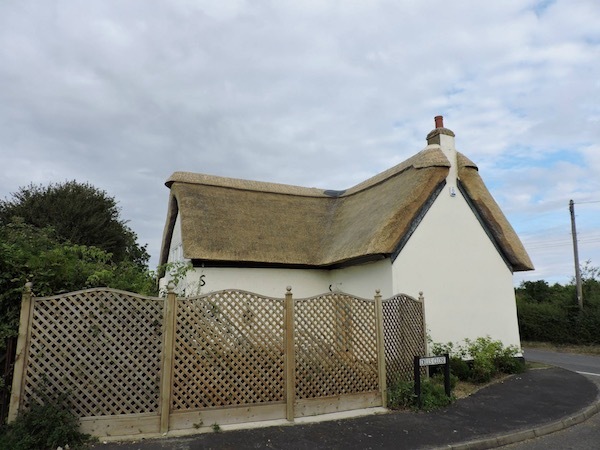 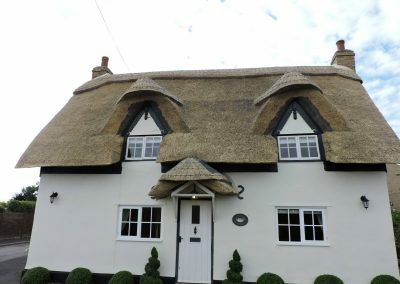 Unless the structure of the roof needs strengthening or completely re-building, we do not remove all the thatch. 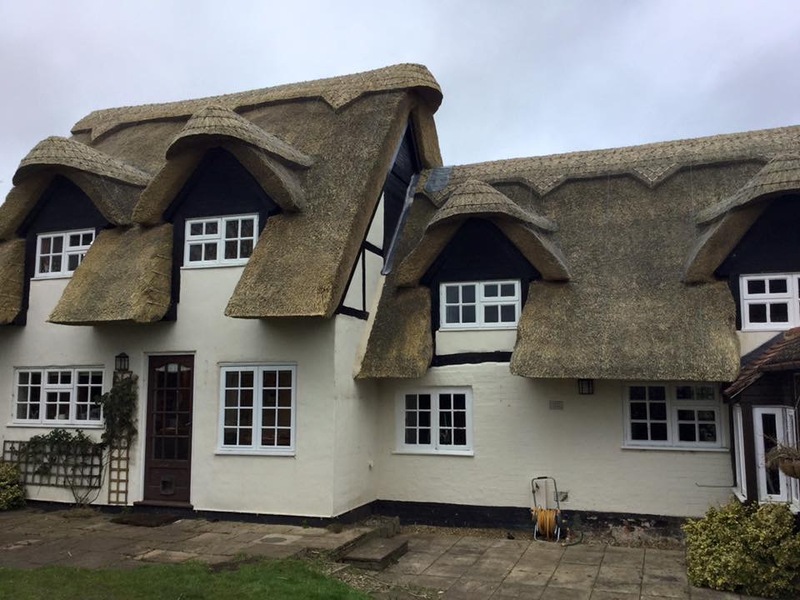 The new material is fixed onto the base coat with spars. The style of ridge which the property currently has will set the precedent for the style of ridge, which both flush and block ridges being used. With roofs thatched with Combed Wheat Reed, the roof is completely enclosed with wire netting, to keep vermin out of the thatch.